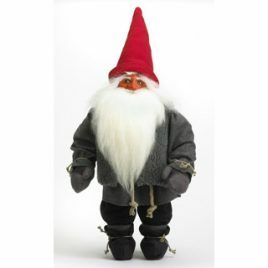 In Scandinavian folklore we have something called Tomtar or Tomte nissar. They are said to live in and around the houses and sheds on farms and remote houses. 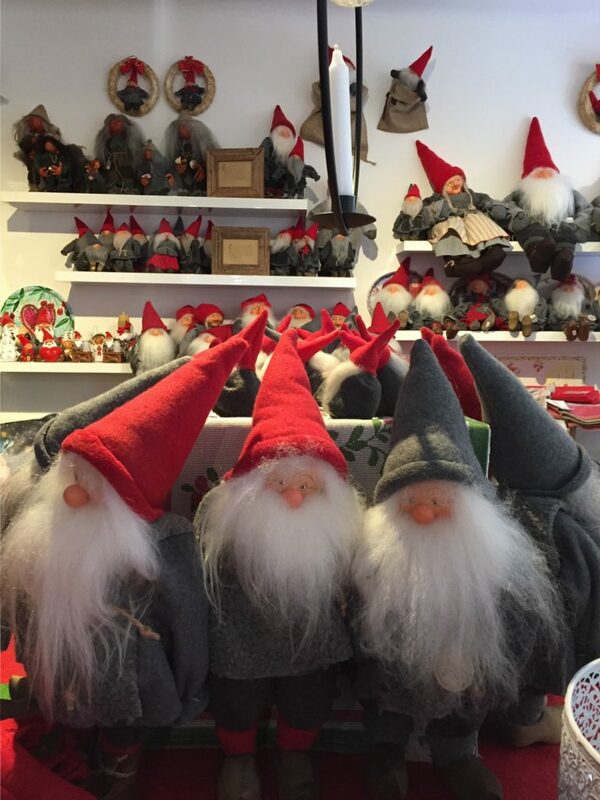 If you are wise you will show the Tomte “due respect”. If you respect him he will protect your household from accidents and disasters. But watch out! He might play tricks on you if you annoy him. In the past at Christmas time it was a custom to leave a bowl of porridge outside your house under the front door stairs. If the bowl was empty the next morning all was well for another year. 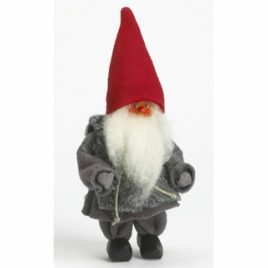 Tomte is the same as Gnome. In plural Tomtar or Tomtenissar in english Gnomes. Since most of them are thought to be small they are also called dwarfs. 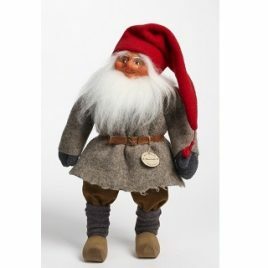 Tomte is also Swedish folk character that shares many similarities with a house elf. Male. Hight approx. 20 cm. Manlig. Höjd ca. 20 cm.